Skyward Sword is Still on Wii, What About Project Café? Those of you worrying that Nintendo’s going to move Skyward Sword over to Project Café can set your fears aside – Nintendo confirmed to its investors that the upcoming Zelda title is indeed going to be the Wii’s headline title this year. Moreover, they tell us to expect other titles for the original Nintendo DS and Wii as the year progresses in order to keep their momentum going. 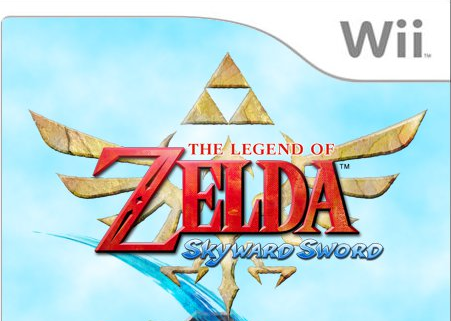 With respect to the “Nintendo DS” series and “Wii,” Nintendo will continue to target those who do not have the systems and make them spread more widely with new games like “The Legend of Zelda: Skyward Sword” for “Wii” which utilizes the capability of the remote controller “Wii Remote Plus,” and also with Nintendo’s long-selling evergreen titles. reconfirmation of what we already knew, the confirmation of Project Café does leave me wondering – is Nintendo already thinking about how to develop Zelda for the new console? Will future Zelda titles continue to use the Wii Motion Plus for improved combat, or will they make use of the touch screen controller for game streaming functions, or perhaps in a similar capacity to Ocarina of Time 3D, where the second screen doubles as a menu selection tool? Personally I was hoping Nintendo would make Wii Motion Plus the standard for Zelda, and I think it’d be a big step back to make use of a more “traditional” controller for a future console title. Keep those kinds of Zelda games on the 3DS line and let Wii Motion Plus run its course in the console department. We’ll have to play Skyward Sword for ourselves before we can really decide which way is better. Look for our firsthand opinions after this year’s E3, where I’ll be experiencing Skyward Sword, Ocarina of Time 3D, and the new Project Café for myself.